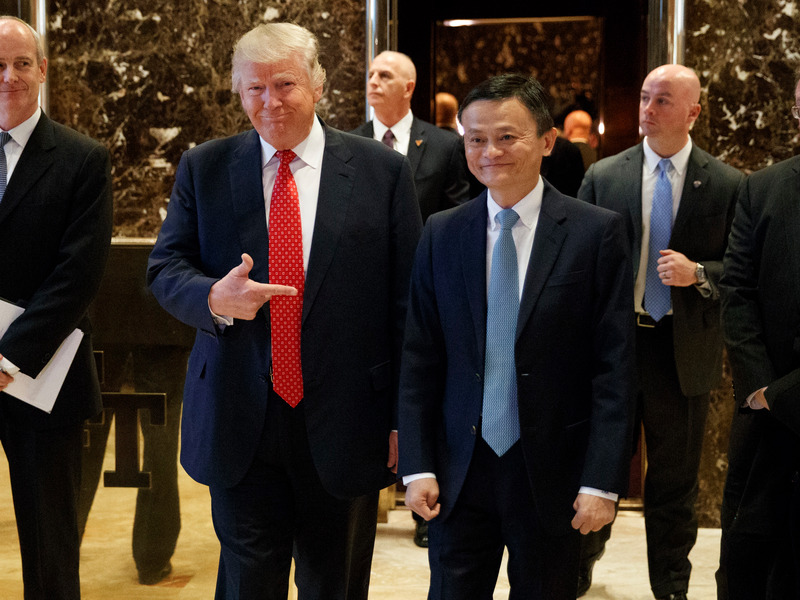 Alibaba Executive Chairman Jack Ma met U.S. President-elect Donald Trump on Monday and laid out the Chinese e-commerce giant’s new plan to bring one million small U.S. businesses onto its platform to sell to Chinese consumers over the next five years, an Alibaba spokesman said. Alibaba Group expects the initiative to create one million U.S. jobs as each company adds a position. Alibaba has previously campaigned to bring more small U.S. businesses onto the company’s sites, but this is the first time Ma has discussed specific targets. Ma said the two mainly discussed supporting small businesses, especially in the Midwest, such as farmers and small clothing makers, who could tap the Chinese market directly through Alibaba, whose small online shopping platform offers virtual store fronts and payment portals to merchants. The company has in recent years been aggressively courting foreign brands to set up Tmall stores. Ma, a Chinese citizen, appears frequently with leaders from the highest echelons of the Communist Party, and both sides have voiced their support and admiration for each other. About 7,000 U.S. brands including wholesaler Costco and apparel seller Levi’s currently sit on Alibaba’s Tmall. They made $15 billion in sales to Chinese consumers last year, but some foreign retailers have had mixed success on Tmall. In September, the luxury handbag maker Coach closed its flagship store on Tmall. It’ll require a big effort but the platform could help create one million U.S. jobs according to Ma. Alibaba did not mention whether Trump and Ma spoke about an ongoing U.S. Securities and Exchange Commission investigation into Alibaba’s accounting practices. Trump’s top choice for the incoming head of the commission, Wall Street lawyer Jay Clayton, worked on Alibaba’s initial public offering. The U.S Trade Representative last month returned the Chinese e-commerce giant to an infamous list of blacklisted online retailers over concerns that the company was not doing enough to stop counterfeiting on their sites.